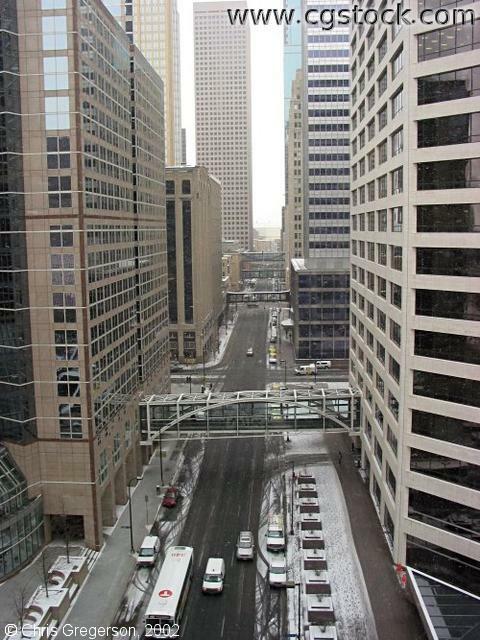 This view is looking west on 6th Street from 8 floors up. The first intersection is 2nd Avenue. US Bank Place is on the left, Pillsbury Center is on the right. The Multifoods tower is in the background on the left side of the street.